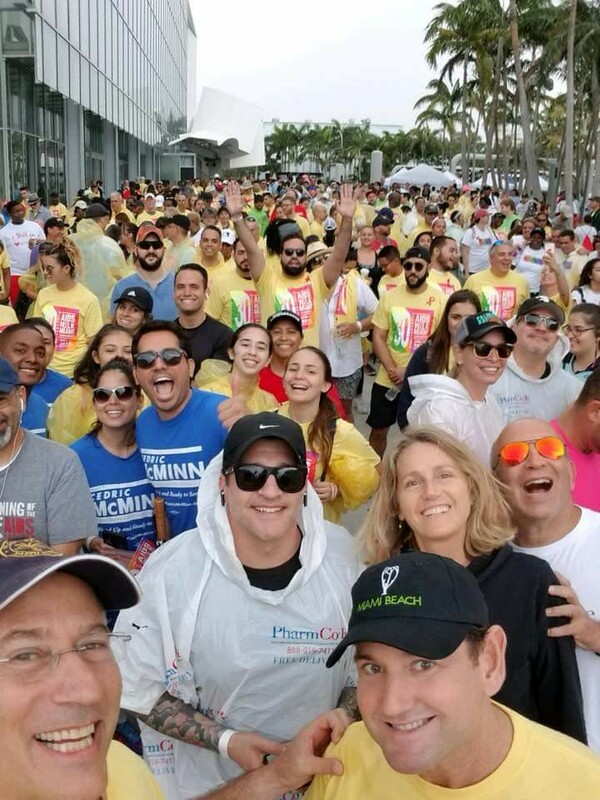 Join Master of Ceremonies U.S. Congresswoman Donna Shalala, and take part in the AIDS Walk Miami 5K (3.1 mile) walk-a-thon fundraiser on April 28 in Miami Beach! Let's make an IMPACT to thousands living with or at risk for HIV! Support Care Resource and its Food For Life Network Food Bank in the ability to provide critical help to the 17,000+ individuals annually that depend on its essential services: primary medical and dental care, HIV and STI testing, case management, counseling, prevention education, housing, food and nutritional assistance, and much more. Donate to a Walk Participant or Walk Team Here! Set up your fundraising web page, send an email about it to your networks, and post it on your social media. Use the matching gift programs of your employer or the employer of a friend. Host a fundraising event at a local restaurant or park with a raffle or a contest and use it as an opportunity to award your team members. Read our Fundraising Tips & Tools sheet! AIDS Walk Miami is a fundraiser for Care Resource, a 501[c](3) non-profit, multi-cultural, community based HIV/AIDS service organization. The agency is dedicated to providing education, prevention and early intervention services, information and referrals, primary medical care, clinical trials, psycho social services and community outreach. These services are provided to men, women and youth in the South Florida communities of Miami-Dade and Broward Counties. Our organization is listed as: Care Resource Community Health Centers, Inc. d/b/a Care Resource and our Federal Tax ID is 59-2564198.